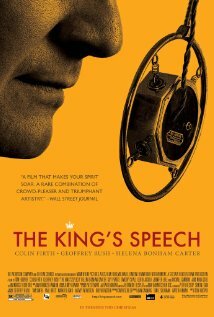 Tom Hooper’s The King’s Speech (2010) is a delightfully inspirational and intriguing movie about stuttering, family issues, and the endearing relationship between King George VI of England and Lionel Logue. But the quality of the film is obvious. The King’s Speech received twelve Oscar nominations, seven Golden Globe nominations, four Screen Actors Guild Award nominations, and thirteen nominations from the British Academy of Film and Television Arts. The King’s Speech speaks for itself. To add more praises for The King’s Speech to the Internet would be a waste of virtual space. So, instead, I’d like to talk about Timothy Spall. Timothy Spall‘s performance in The King’s Speech as Winston Churchill has received some criticism. Some call it Tom Hooper’s only mistake. Others consider Spall to be a poor representation of Churchill. The Guardian calls Spall a “woefully thin pastiche,” and USA Today writes, “The only weak link is Timothy Spall, miscast as Winston Churchill. It’s not clear who Spall is playing, but it doesn’t appear to be Churchill.” For those who haven’t seen The King’s Speech, here is a clip featuring Timothy Spall as Churchill. 1) Churchill was an intriguing character. His cigar poses are awesome. His drunken episodes are legendary. And some of his first words as Prime Minister to the British House of Commons were “I have nothing to offer but blood, toil, tears and sweat.” Also, Churchill’s interests were as broad as his chin. He enjoyed painting and writing, and he even received the 1952 Nobel Prize in Literature. So, when critics say that Timothy Spall’s version of Churchill didn’t match the rest of the picture, they didn’t consider that perhaps that’s because Timothy Spall believes that Winston Churchill’s awesome qualities didn’t match the rest of twentieth-century Europe. 2) Who else? Some critics believe strongly that Timothy Spall was a poor choice, but I have yet to hear any feasible alternatives. Winston Churchill, though awesome, provides a unique challenge to directors who like to create semi-accurate physical portrayals of historical figures. To understand my point, consider, for a moment, some possible alternatives. Frank Langella: This lanky Churchill would be too similar to Langella’s portrayal of Nixon, and, while it may be interesting, a Nixon-infused Churchill is not what The King’s Speech needs. 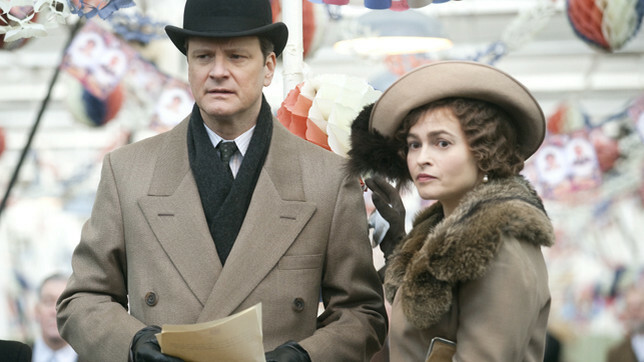 Alec Baldwin: Intriguing but ultimately wrong; this emotionless Churchill lacks the raw manliness of the real man. Martin Sheen: This Churchill doesn’t sound like Churchill. Bill Nighy: This Churchill has the sound and the attitude but not the look. Geoffrey Rush: Already in The King’s Speech. 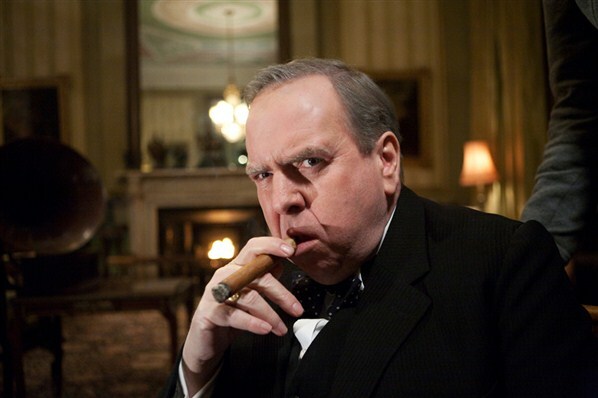 My conclusion is this: Timothy Spall may not be the right Churchill, but he is certainly the best. 3) Love for Peter Pettigrew. Timothy Spall has devoutly played Wormtail in every Harry Potter movie from Prisoner of Azkaban to Deathly Hallows: Part 1. That alone should earn him our love and respect. So, The King’s Speech is a wonderful movie with well-written dialogue, excellent directing, and one stunning Winston Churchill.